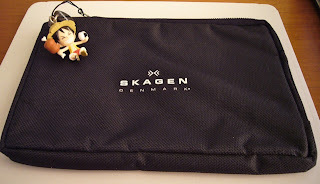 I got this pouch from Skagen free with one of the magazine I usually get. It is a black pouch measuring 7 x 5 inches. The pouch is pretty thin, so I don't think I will be using it to store watches. The zipper opens 'L' shape from the top to the right (bottom). I think I will use it to store my collection of thumb drives (which I have lots). The pouch. 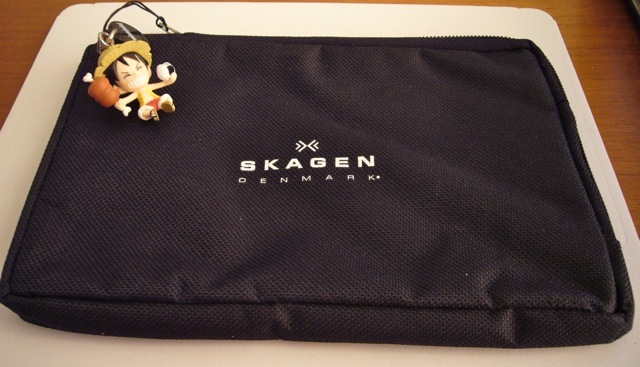 The cartoon character from One Piece (Luffy) does not come with the pouch.